I think most of us are always looking for ways to save on dairy products. 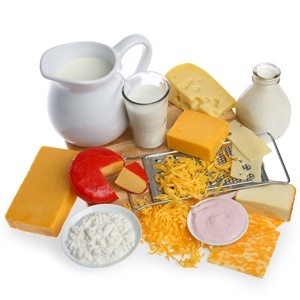 We use milk, butter, eggs almost every day, not to mention cheese, yogurt, sour cream and other products. When it comes to how to save money on dairy, you have to get creative since coupons are not always readily available. When buying dairy products always check the date. If the date seems like it quickly approaching check products towards the back. Normally those are going to have a sale by date that is further out. This will prevent you from throwing aways dairy products that have gone bad. When buying milk or eggs try going directly to the source. Check with local farmers to see if they have the option of buying milk or eggs directly from them. Not only can this end up being more cost-effective, but you get a fresher product. If you have room in your freezer you can buy dairy products when they are on sale and freeze them. You will need to let your dairy products thaw out completely in the fridge prior to using them. Another tip is to only freeze shredded cheese. If you find a stock up price on cheese shred it before freezing it. Cheese tends to crumble easy after it has been frozen, shredding it will help you out. When it comes to dairy products you can easily get away with the store brand! In fact the store brand is often 25 to 30% cheaper than name brand products. You will usually find more in store sales on store brand products. What are your best tips for saving on dairy products? Looking for more tips to save money? Make sure that you check out all the posts in my Coupon 101 and Coupon Ethics sections! I look for the clearance milk when I shop. We go through it so fast that we easily save money buying the milk with a close “sell by” date. Sometimes I find clearance half-n-half and yogurt, too.